Daisy - A Felt Alive Needle Felted Doll, originally uploaded by feltalive. I was contacted quite a while ago by super talented fibre artist Kay Petal, to custom spin some Art Yarn for use as hair for her needlefelted dolls. Browsing my flickrstream today, I see a photo of a most playful character called Daisy, whose spirit lifted me off my seat for the joy & expression of spirit she holds. 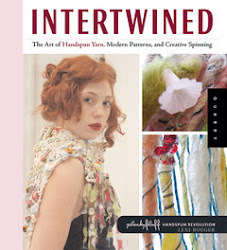 I made a double-take to see that her hair was made with Wooldancer Handspun. 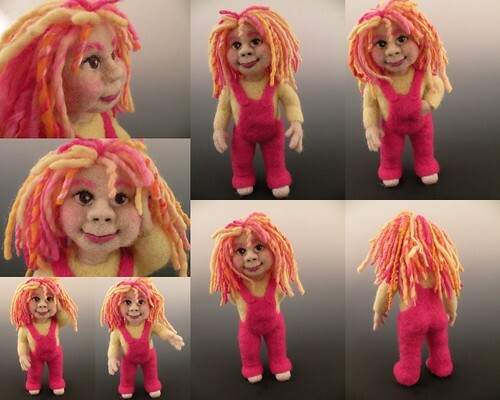 How exciting to see my own yarn featuring as the hair on this delightful art doll!